Which lawn mower is best? You have dedicatedly spent a lot of time seeding, watering and fertilizing your lawn. Now, when the time comes for harvesting, you would definitely look forward to the best return on your investment. You can always outsource the job of lawn mowing, but why do it when you can happily complete the job yourself by purchasing the suitable equipment? 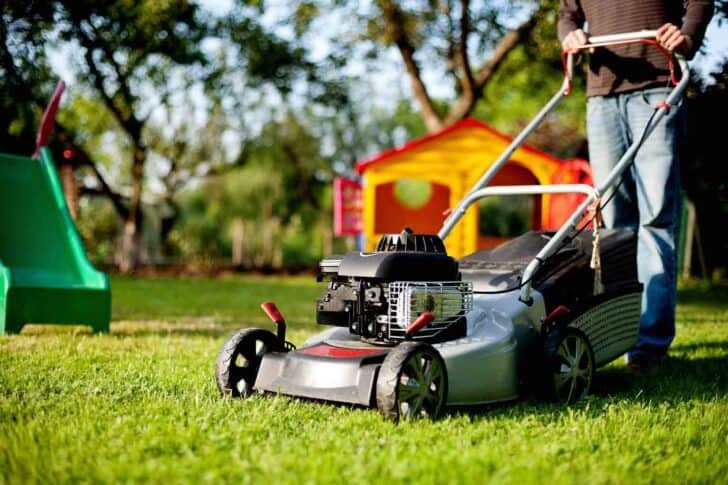 Here is a brief guide which will help you in choosing the most appropriate lawn mower. The most important factor that decides the type of lawnmower you should buy is the kind of lawn you possess. Considering this there are majorly three types of lawn mowers, namely walk-behind, riding, and tow-behind. With a cutting width of 10” to 61” and operating at walking speed, a walk-behind lawn mower can serve your purpose if you have a mid to small-sized lawn. They come in varieties like cordless, electric, real or gas-powered. If you have a large property, it would indeed be tiresome to cover the entire area by walking. In such cases, riding lawn mowers, with cutting width of 26” to 74” and a maximum speed of 13 mph come of great help. Although they are more expensive compared to walk-behind mowers, the convenience is worth the cost. Riding mowers come in four different styles, namely lawn tractors, rear engine riders, zero turn mowers and garden tractors. The name itself suggests that you need to tow it, say behind your existing tractor or ATV. This is a great mower for overgrown fields or golf courses. It has a cutting width of 18” to 136” and a maximum speed of 10 mph, and is available in the form of trail cutters, trail mowers, and gang reel mowers. Check our guide on brush cutter. On the basis of the power system, there are many types of lawn mowers. You can decide as per your convenience. Cylinder lawn mowers: They are powered by petrol or electricity or are hand-pushed, and are perfect for ornamental gardens or level lawns. However, you need to maintain more regularity in moving while using this mower. Hover lawn mowers: True to its name, it hovers just over the grass. They are extremely lightweight and are a great option if your lawn has flower beds or curved edges. Rotary lawn mowers: They can cater to varied types of lawns, from looping banks to rougher grass areas. Driven by either petrol or electric, they are great for a normal family garden, and can also trim the long grass. Cordless lawn mowers: These are usually powered by battery or petrol, and are popular due to the high performance they offer at affordable rates. These mowers can also be self-propelled, which ensures smooth movement on large lawns. For small lawns, use a push model, as they are easy to maintain and cheaper. And if you already own a lawn mower and it just broke, here an article on how to repair it: How To: Lawn Mower Repair and Maintenance! Good point on the best shopping season. Mowers are obviously a huge seasonal business, so makes sense to shop at the end of the season. Thanks for sharing.